Outdoor music festivals in the summer are pretty ace… add mountains, sun, a rural setting, and bears you get the Live at Squamish experience. I don’t know about you but last night’s hockey game may have shaved a couple years off of my life. Time to decompress and get out and nature and try and get some of that time back! I just sold this Townhouse at 203 1538 BOWSER Ave, North Vancouver, British Columbia Norgate. 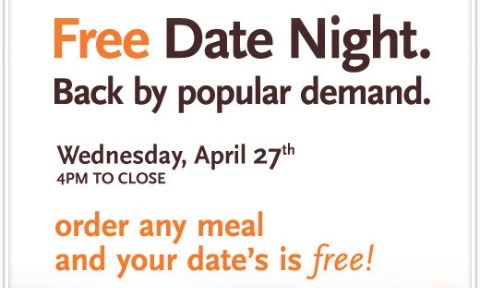 On Wednesday April 27, 2011 from 4pm to close Milestones is bringing back Free Date Night. I wouldn’t want to be taking someone there on a first date… but hey if you are at that ‘comfortable’ stage in your relationship, why not get some free food! You’d be hard-pressed finding a celebrity who sheds his shirt more often than Tracy Morgan. The guy bares his belly like he’s a cast member from Jersey Shore. Next month, Tracy is bringing his antics to Vancouver’s Orpheum Theatre to perform his successful: Stand Up Comedy Show. This week, poets from around the world will be taking part in Vancouver’s International Poetry Festival. A diverse range of poetic styles & spoken word events will showcase the best Canada has to offer. The week’s events are scattered across the city but click here for a detailed schedule. Doing the right thing is rarely easy. For instance, whenever my mother sends her mouthwatering baked goods to casa Zupan, it takes great moral fortitude to actually share them with my better half. I’m ashamed to admit that, most times, the Tupperware is licked clean of evidence before my lady walks in the door.